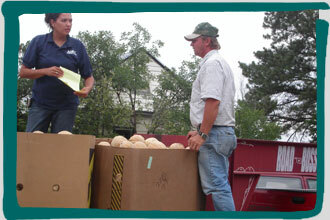 Native American Aid (NAA) provides program services that benefit the Native Americans in the Northern Great Plains. Our MISSION is "To help Native American people improve the quality of their lives by providing opportunities for them to bring about positive changes in their communities." We work with Program Partners in the communities that we serve. NAA seeks the input of Indian people living within their own community to identify needs, arrange volunteer support, provide lists that identify people in need of assistance, obtain facilities, and volunteer their own time to improve the community where they live. These volunteers partner with us to plan and implement NAA programs. We do not serve individuals on a "walk in" basis, but direct these people to the appropriate Program Partner or group in their community that can provide assistance. average annual income is as low as $2,600. We give preference to remote locations without access to services and/or transportation. 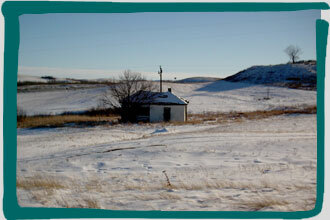 Many people living on reservations reside in extremely rural environments. They are not close to stores, medical facilities, or even basic utilities. Many don't have the transportation necessary to make the long drive to the nearest town or facility. These are the people that we identify to help. We define a group to be served and serve everyone in that group. A group may be defined by age, location, need, or other criteria. This makes the criteria for receiving our assistance very clear. Using this system helps us avoid any feeling of unfairness or partiality within the community that could undermine our effectiveness and credibility. We make clear our expectations to our Program Partners in writing. 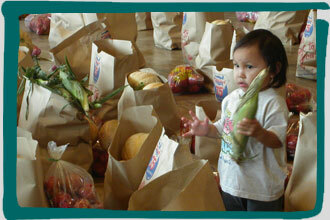 We depend heavily on the people who live in reservation communities to make our programs work. We clearly outline our expectations as to what the community needs to do, as well as what we will do for the community. Building this line of communication makes our programs more effective because everyone's expectations are clearly stated. We insist upon program accountability. We expect our Program Partners to care as much about the goods and services we provide to them as we do. Goods and services must go only to the intended beneficiaries. We fulfill our obligations to our Program Partners, and we expect our Program Partners to fulfill their obligations to us. We give preference to the purchase of healthy and nutritious food. A great number of the people we serve have diabetes, and many more will develop the disease in their lifetime. The incidence of diabetes is on the rise. A healthy and nutritious diet is an important component in controlling diabetes. We work with the people we serve, taking into account the kinds of food they desire, but we strive to balance that with providing them with healthy food choices. and even the youngest helpers are welcome. We do not "dump and run." 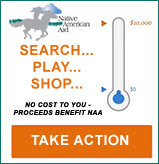 NAA will not deliver unwanted or inappropriate goods to reservation communities. The charitable community as a whole is particularly guilty of this act. Most charities decide for the communities they serve what goods and services they will receive. We concentrate on what our Program Partners are telling us they want for their communities. Unneeded and unwanted supplies will not be delivered by us. We are respectful of all monetary donations. Our money will be spent meaningfully and wisely. We have a limited budget and cannot solve all of the world problems. We are constantly rethinking our program strategies to get the most "bang for the buck." Whether it's feeding people the only meal they may get that day, or weatherproofing a house, we want our donors to know that what we do will successfully move us towards completing our mission. We are respectful of all Gift-in-Kind donations. We have many Gift-in-Kind donor-imposed restrictions that we strictly enforce. A major concern of the corporations that donate their products to us is the possibility of distributed goods competing with the retail market. NAA limits the mass distribution of donated products to rural reservation communities, and we provide a very limited distribution of donated products in small, poor urban areas.